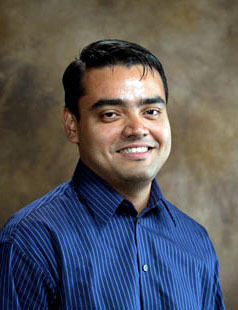 Nilanjan Banerjee is an Assistant Professor in the department of Computer Science and Computer Engineering at University of Arkansas Fayetteville. He graduated with a M.S. and a Ph.D. from the University of Massachusetts at Amherst in 2009 and a BTech. (Hons.) from IIT Kharagpur in 2004. He has won the Yahoo! Outstanding dissertation award at UMass, a best undergraduate thesis award at IIT Kharagpur, and an Outstanding Researcher award at University of Arkansas. He is a 2011 NSF Career awardee and has won three other NSF awards (including the NSF I-Corp grant). His research interests span renewable energy driven systems, healthcare systems, and mobile systems.